We've been seeing skinny jeans worn a lot by women in the past years. 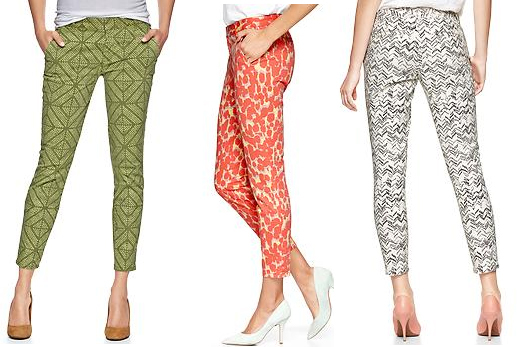 I've been hooked wearing skinny and jeggings for a while now and I guess this trend will stay for a while as I have seen different colors and various patterns just like these printed skinny mini skimmer khakis from GAP. It can be worn with white and other solid colored tops but if you want to be more adventurous , you can experiment by wearing something unusual.